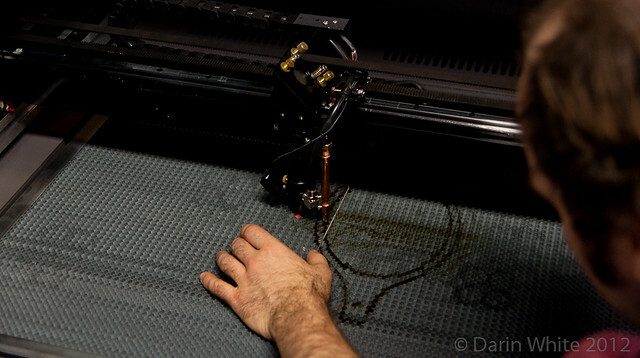 What can you make with a laser cutter? 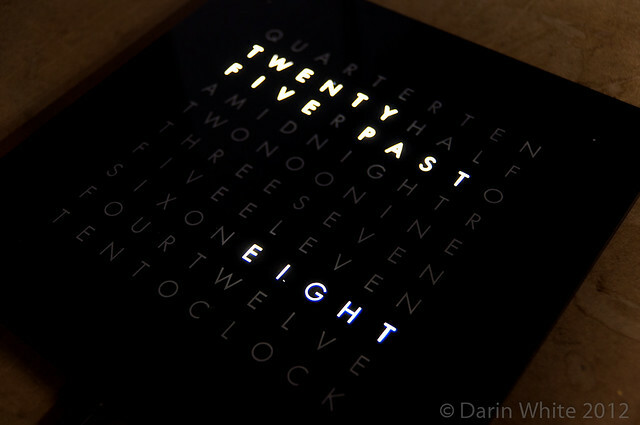 A pretty freakin’ cool clock, for one thing. 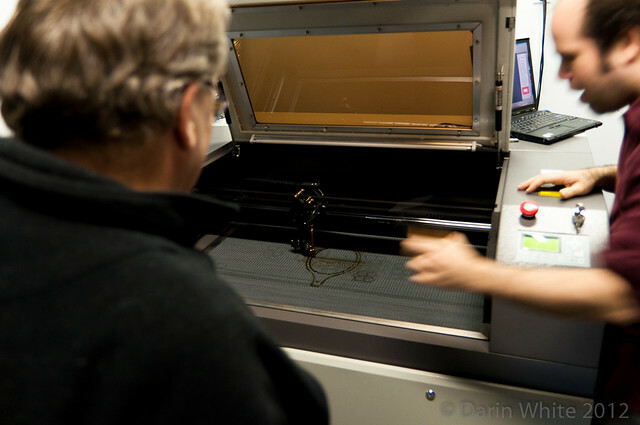 I popped by kwartzlab last Tuesday for their open night to check out the new laser cutter, funded by CEEO. 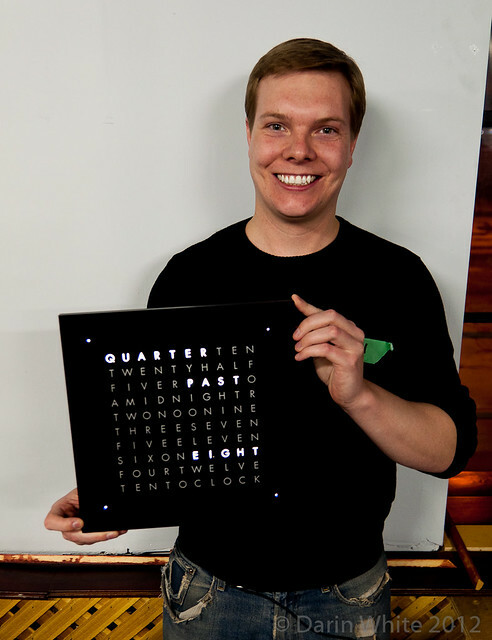 James Bastow was there with his latest project: a word clock, inspired by a design from other makers. 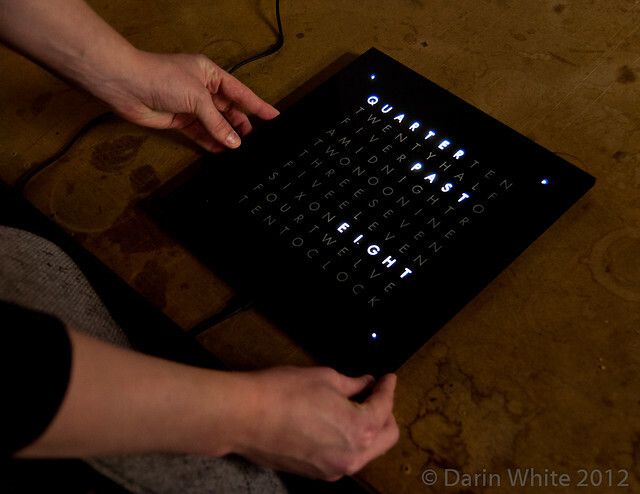 This is exactly the kind of project that becomes far more feasible once you have access to a laser. 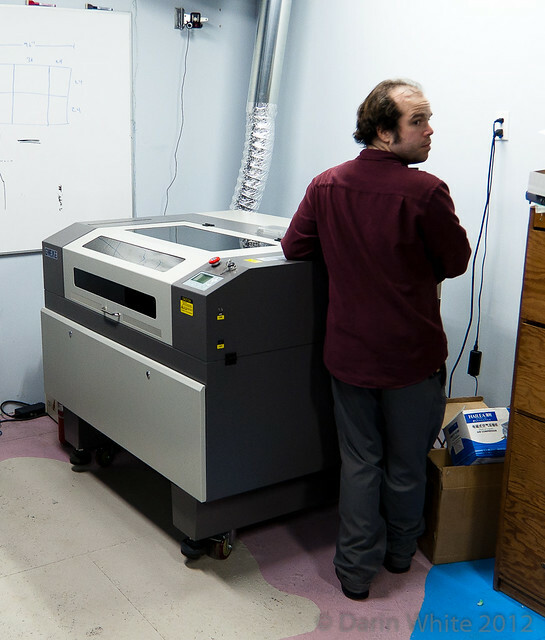 Davenport with the new laser cutter, which is the size of a Volkswagen and a little louder. 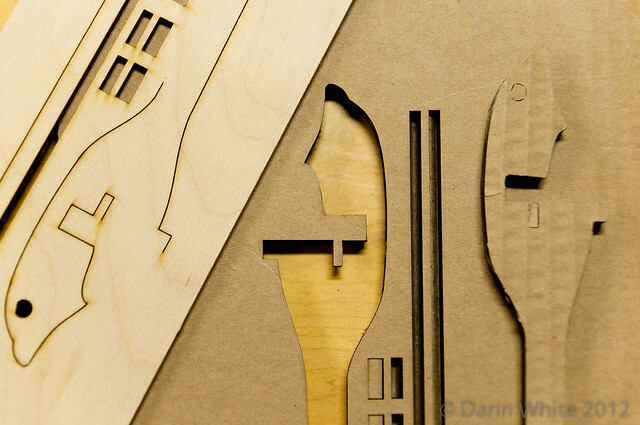 variety of materials, including 1/8” birch plywood, acrylic, and cardboard. 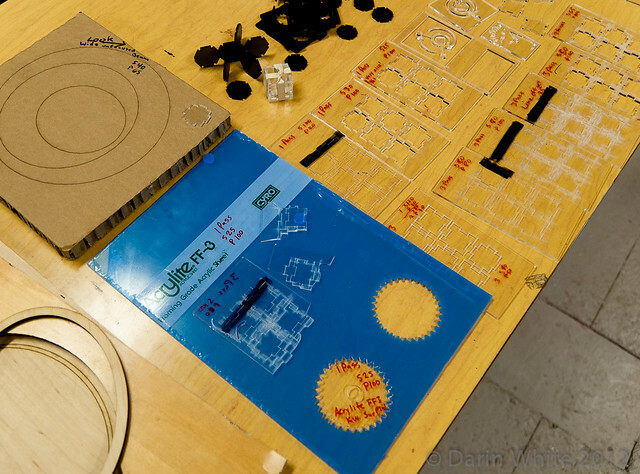 Karl Williams is prototyping some parts for an ornithopter. and rastered Martin’s image in plastic in no time at all. Cool. 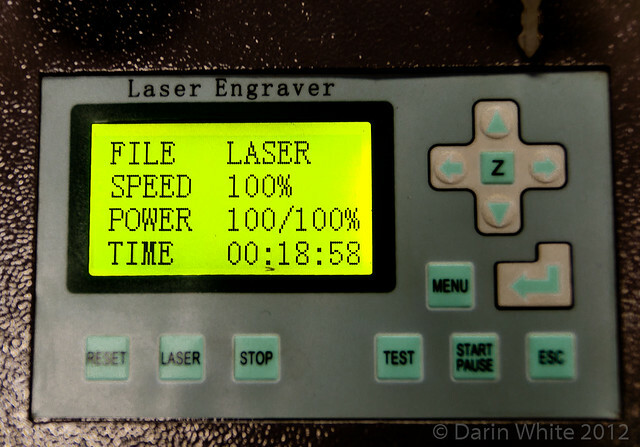 A great thing about this 60W laser is that it has a huge 24” x 36” bed. That really opens up the range of jobs it can do. This baby came all the way from China. Friends at Site 3 CoLaboratory in T.O. 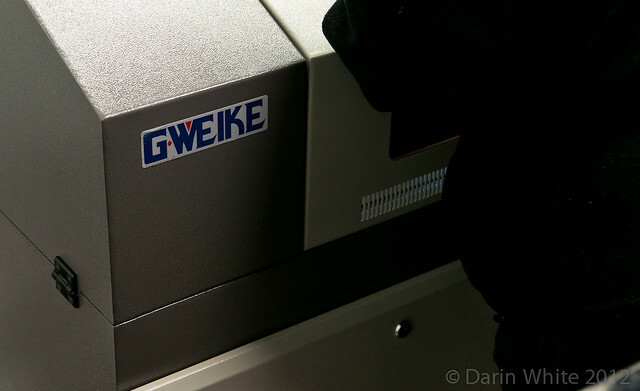 bought a G*Weike, inspiring kwartzlab to navigate the complexities of buying direct from the manufacturer and arranging shipping. 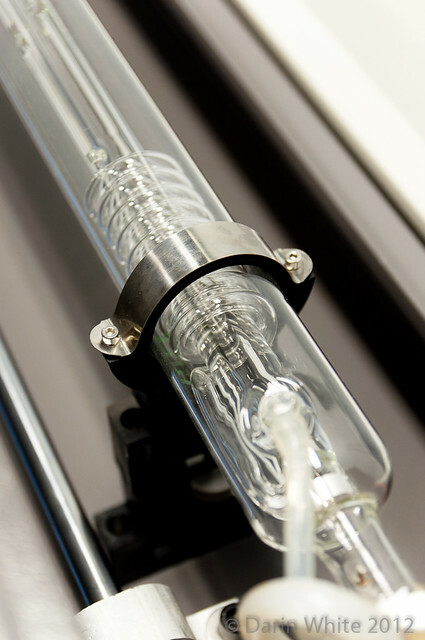 It was a 10x cost savings over going with more accessible vendors with a North American presence like Epilog or Universal. Hey, we love them too, but who has $60K to burn? Let’s get back to Bastow’s implementation of the word clock. backlighting! (holy lens flare Batman!) 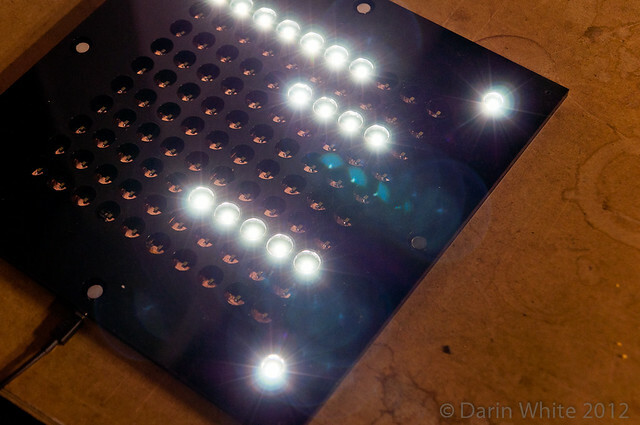 This layer is a 5mm opaque acrylic baffle that separates the circuit board sporting the LED’s from the front plate with the words. Aaah, that’s better. 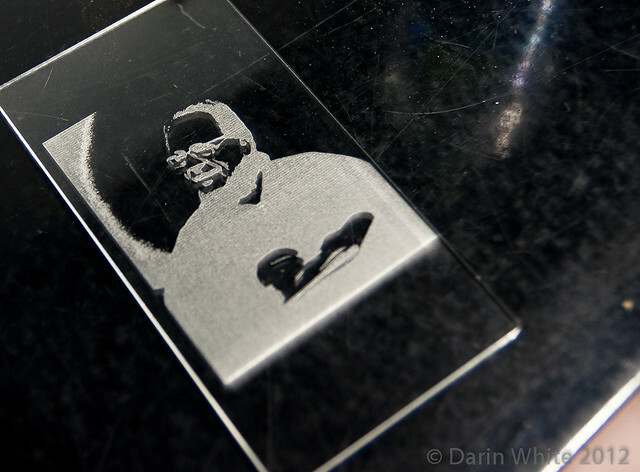 The front plate cleanly clicks on via 4 neodymium magnets. 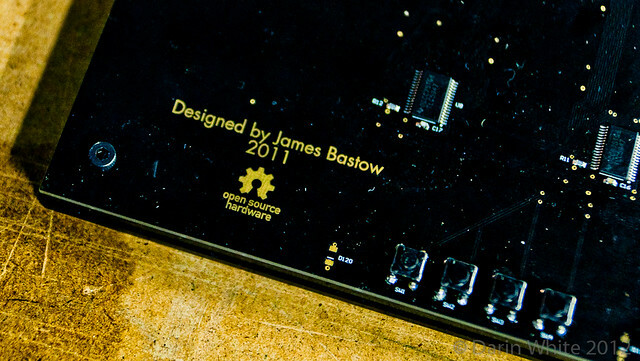 Flipping the whole thing over, you see this beautiful work of art, 30cm x 30cm circuit board that James designed. Powered by USB, it features a boost power supply on board (hence the big inductor) and runs James’ current favourite line of microcontroller, the NXP LPC1343. You also see the 5 constant current LED drivers here and unpopulated pads for adding an RF daughterboard that can receive radio time signals to automagically set the time on this clock. Everything James does is seriously spec’d out. 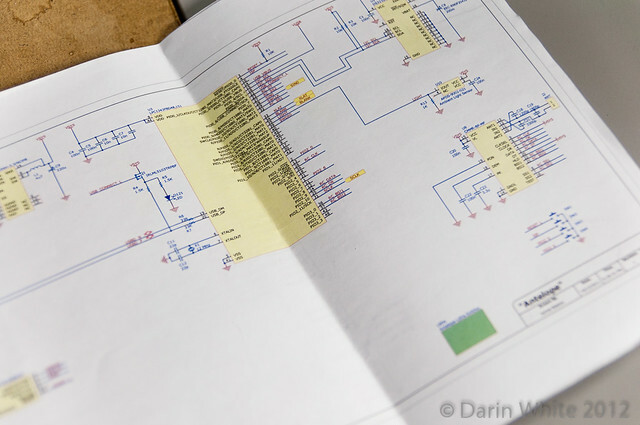 The design allows for control of individual LED’s in the matrix with 10-bit (?) PWM for cool fading effects. He also incorporated an ambient light sensor that, with a few firmware tweaks, will allow the clock to dim itself in low-light conditions. 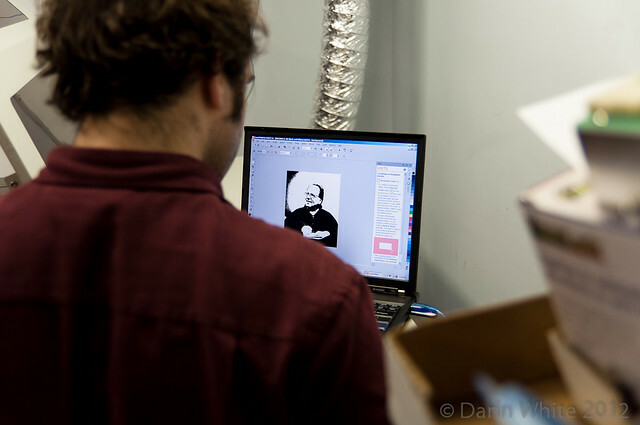 James caught the open source hardware bug at OSHW summit in NYC a couple years back. He’ll be releasing all the plans and code for this project. Well done, James. with access to such a cool tool. Go check it out for yourself. 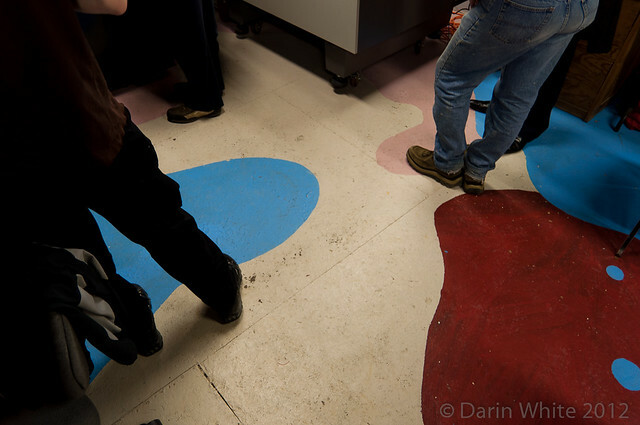 kwartzlab is reported to be having their laser ribbon-cutting ceremony on Tuesday, January 10. Open to the public, just like all Tuesday Open Nights. Follow them on Twitter for up-to-the-minute scoop. 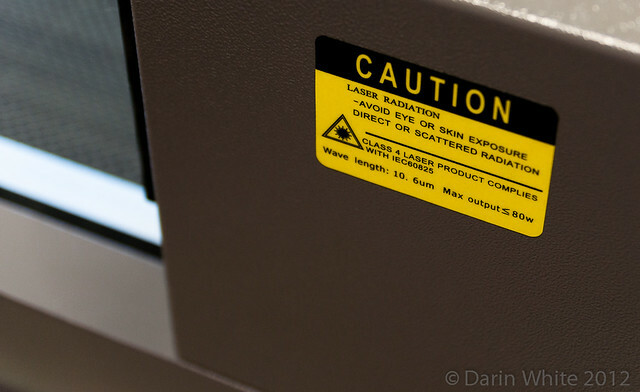 If you’re totally jazzed about laser-access, consider joining kwartzlab. It’s only $55/month and you get 24×7 access to all the tools and can collaborate with some really talented makers. 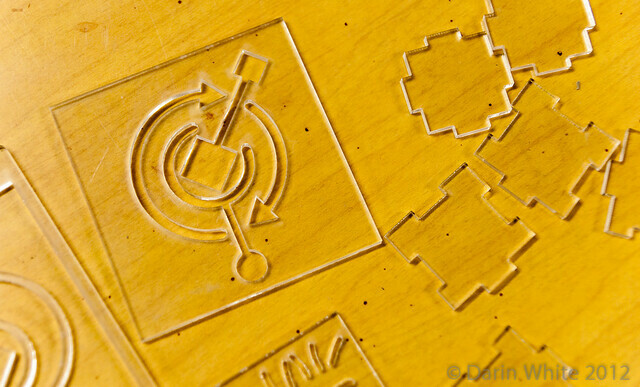 This entry was posted in kwartzlab, maker resource and tagged clock, laser. Bookmark the permalink. 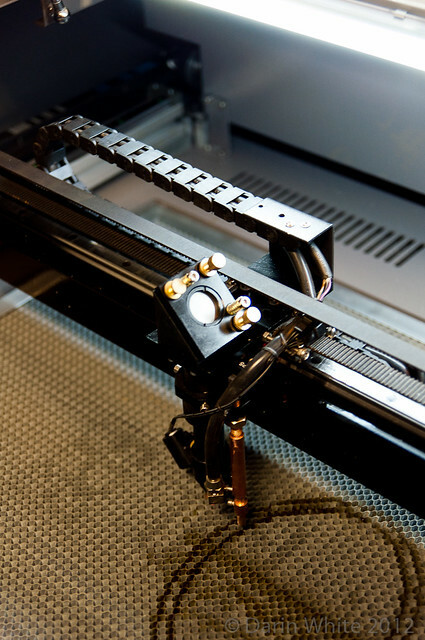 2 Responses to What can you make with a laser cutter? 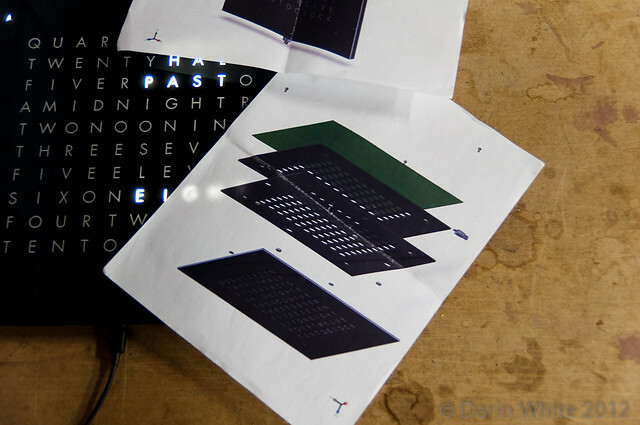 James has published his design, as promised, on his web site. 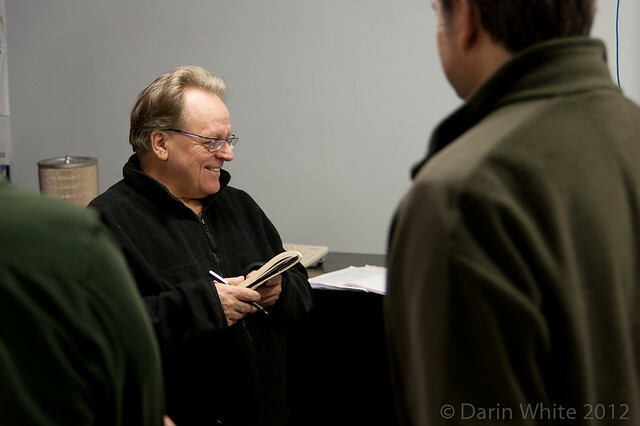 Excellent coverage of the evening Darin. I dropped by after nine just as Martin was leaving. You were gone by then. James’ clock is truly an inspired concept. I am amazed at how Kwartzlab has grown is such as short time and the enthusiasm exhibited by its members and followers. The energy level is always high.